Shrikhand is an Indian sweet dish made of strained yogurt. 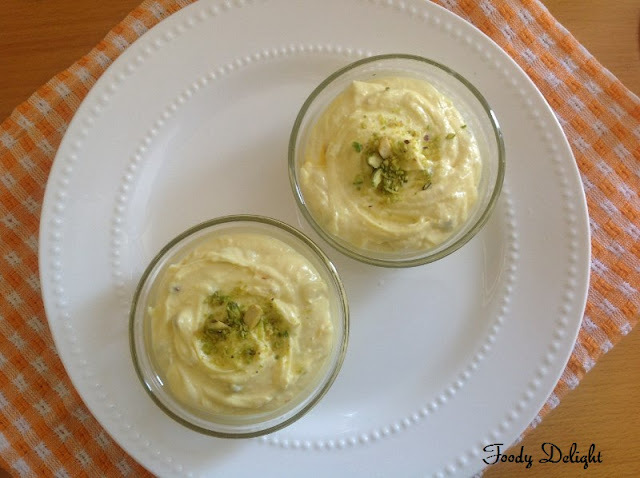 It is one of the main desserts in Gujarathi cuisine and Maharashtrian cuisine .In Gujarati cuisine, shrikhand is eaten as either a side-dish with breads such as poori or as a dessert. 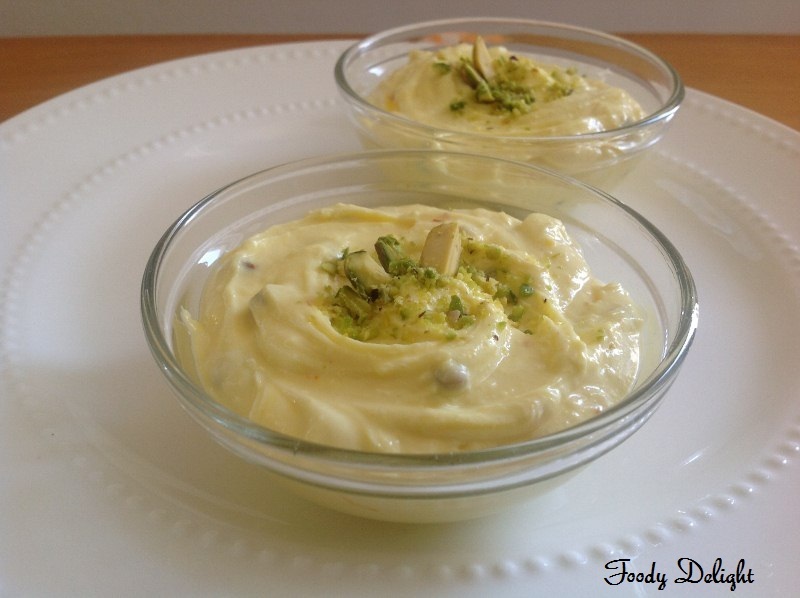 A popular variation of shrikhand in Maharashtra is Amrakhand , which is shrikhand blended with mango pulp. Preparation of this dish is very simple but it takes some time to process yogurt properly. The dish is always served chilled. For hung curd, take plain yogurt, hang up in a clean muslin cloth for at least 4-5 hours (preferably overnight). Discard the whey. Heat the milk(2tbsp) for few seconds in your microwave. Add the saffron to it, give it a quick stir and let it sit for about 5 minutes. Add soaked saffro strands and cardamom powder. Mix everything well. Cover and refrigereator for 30 minutes to 1 hour. 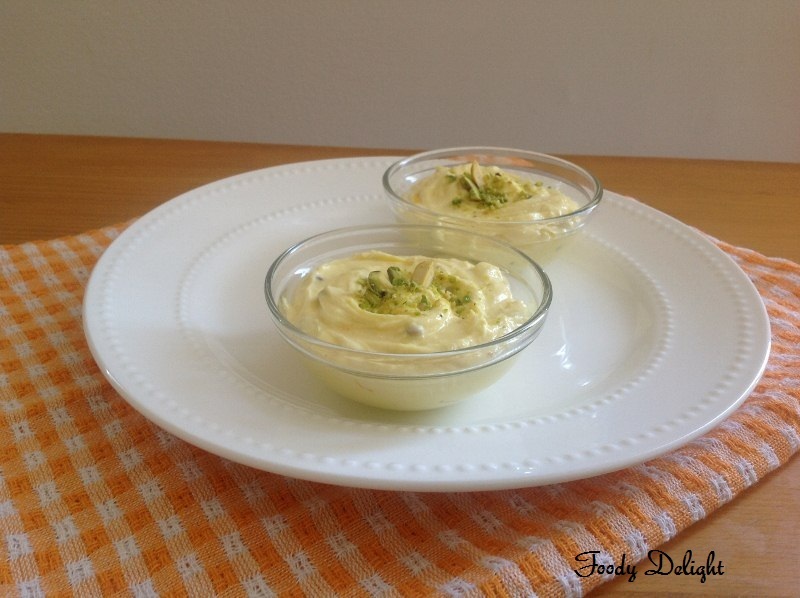 Wow, yummy Shrikhand! 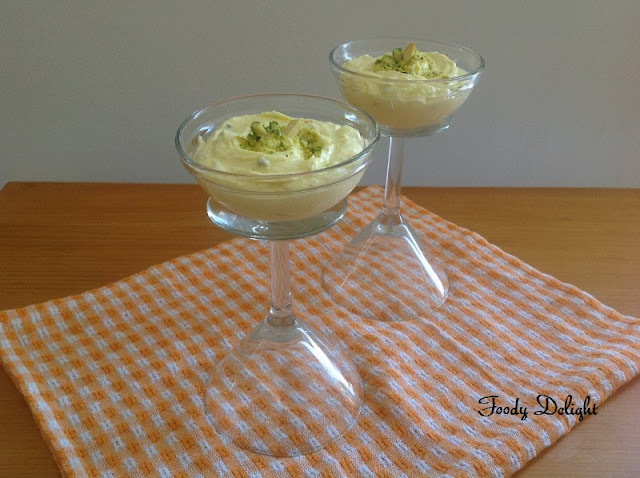 Looks really tempting..
wow dear.. its perfectly made..
Wat an elegant and irresistible shrikhand. wow... looks delicious... rich and creamy..